*All of our available pencils have been reserved for the pencil pickup on Wednesday, 8/1. Any unclaimed pencils will be distributed after the tent event, so we will hold your contact info and let you know if we will be able to get some of the unclaimed pencils to you. Teachers! School Principals! Educators! It’s time for the annual William Mattar ‘Pencils 4 Schools’ program! Register below to get pencils for your students. Pencils will be first come first served and quantities are limited. This year’s pencil pick-up is a 1 day tent event: a Pencils 4 Schools celebration! We will have a tent set up at our 6720 Main St, Williamsville office with a prize wheel, advance info on school safety programs & fun surprises. And our friends at Paula’s Donuts will have free treats for everyone picking up pencils at our drive-up tent event. So pencil in Wednesday, August 1st from 11am-2pm on your calendar to join our celebration! 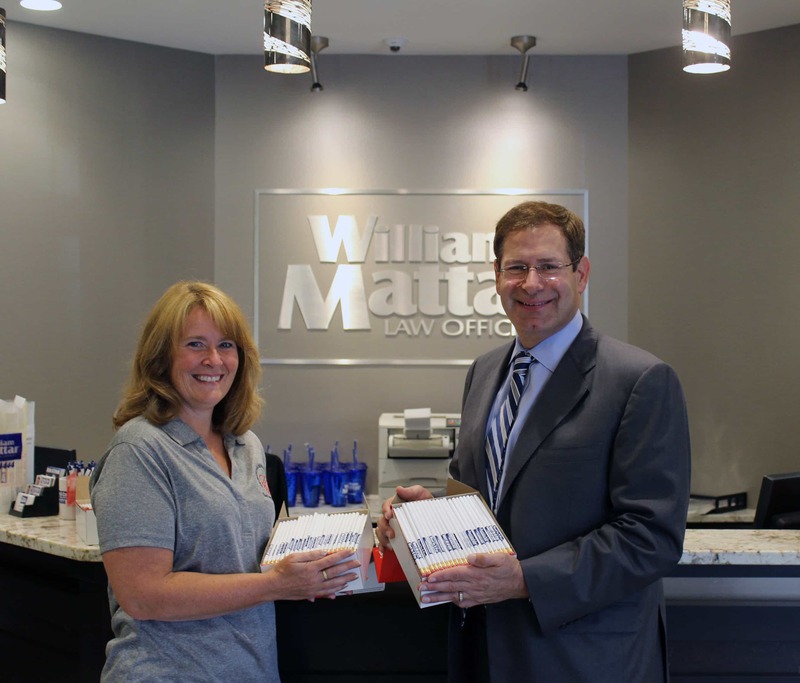 The truck injury lawyers at William Mattar Law Offices knows that education is key to a successful future for our youth. That’s why we established the Pencils 4 Schools Campaign to support our local school districts! We’re proud to help give area schools a better start this fall so they can prepare for another year of educating the leaders of tomorrow. In just the last few years, we have donated over 1,000,000 pencils to schools in need of supplies! We started the Pencils 4 Schools campaign as a way to help the leaders of tomorrow learn today. Giving a kid a pencil can seem like a small thing, but the responses we’ve received from our partner schools have demonstrated what a huge difference it can make.